Don't wish to order via "add to cart"? Click here for further instructions. 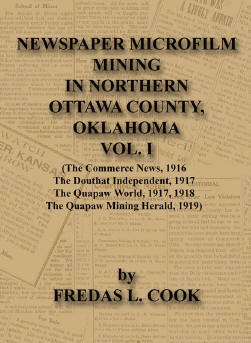 This 8.5x11", softbound book, published in early 2012, contains 174 pages with lots of information allowing a glimpse into life in northeast Oklahoma just after the turn of the nineteenth century. This fully indexed book contains everything from family information to advertisements and talk about the weather!